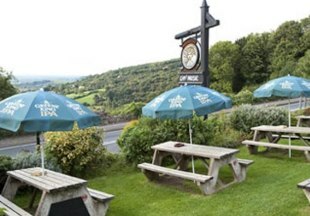 Well known locally for its excellent meals and real ales, diners at this traditional inn can choose from a Forest Fayre menu, which offers such delicious main courses as Gloucester Sausage in Onion Gravy, or select from a large range of curries, vegetarian dishes and other daily specials. All eight guest rooms (including one specially adapted for disabled use) are en-suite, decorated and furnished to an extremely high standard. Various half-board breaks are also offered throughout the year. VisitEngland 4 Star Inn. A former 17th century hunting lodge set in the heart of the idyllic Royal Forest of Dean in Gloucestershire. The hotel offers comfortably appointed bedrooms, several with four-poster beds. The beamed restaurant reflects the room's continuing use as a courthouse for the Verderers of The Royal Forest of Dean. Dating from the 13th century, The Tudor Farmhouse Hotel is situated in the quiet village of Clearwell in the Forest of Dean, Gloucestershire. The hotel is steeped in history and boasts a host of original features including exposed stonework, oak beams and inglenook fireplaces. There is a 2 AA Rosette fine dining restaurant and the stylish rooms include some with four poster beds and jacuzzi baths. Welcome to the Amberley Inn, situated just 3 miles from the town of Stroud. Boasting stunning views over the Gloucestershire countryside, the Amberley Inn offers a restaurant specialising in freshly caught fish and local produce. The bar serves light meals and traditional afternoon teas. 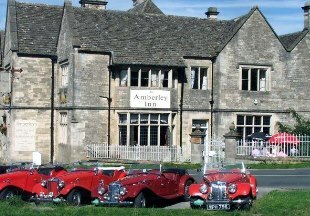 The Amberley Inn is one of those hotels that is the epitome of English hospitality. We are the ideal location for walking. Well behaved dogs welcome. Set in the picturesque hamlet of Bibury, often described as the prettiest village in England, this ivy-clad 17th century former coaching inn overlooks the River Coln. The hotel is the epitome of a country inn, featuring beautifully decorated bedrooms and cosy lounges, with real log fires during the winter months and a stunning garden and courtyard to enjoy in the summer. The perfect place to escape, indulge and unwind at any time of year, The Swan Hotel is renowned for its outstanding hospitality, delicious cuisine and romantic setting. Set in 26 peaceful acres in the delightful village of Birdlip. The 18th century Royal George epitomises a friendly, traditional English country hotel. Gloucester is only 8 miles away and there are many enchanting Cotswold villages nearby. All the comfortable bedrooms are en-suite. 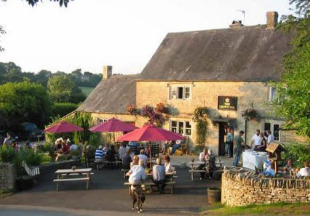 Situated in the beautiful Gloucestershire village of Bourton on the Hill, the Horse and Groom boasts a bright and airy bar with a selection of well kept real ales and local lagers. Our beautifully restored dining room serves award winning food, from traditional favourites through to culinary innovations. There are also five sumptuous en-suite bedrooms, individually styled and decorated with flair and taste. 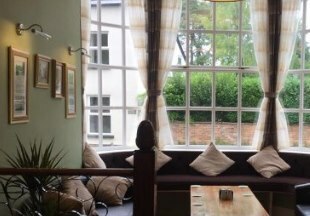 This lovely country inn, just 10 minutes drive from Cheltenham racecourse, enjoys glorious views across Cheltenham towards the Malvern hills. The hotel offers a wide selection of seasonal and traditional dishes in the restaurant, bar and heated garden terrace, a great place from which to admire those stunning views. Coln St. Aldwyns is considered one of the most beautiful villages in England. 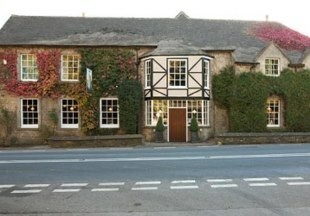 The New Inn in Coln offers stylish, individually styled bedrooms, fabulous food and a friendly, comfortable hotel bar. Relaxing and welcoming, in an idyllic Gloucestershire village. What more could you want - come and see us soon. This beautifully restored, 17th century inn is a real gem. 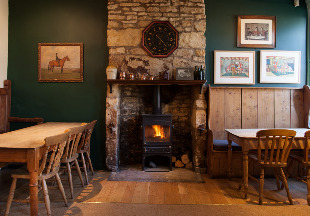 With its flagstone floors and wood furnishings, it's the very epitome of an English country inn. Add to this a characterful bar, award-winning restaurant and sumptuous bedrooms, and you have the recipe for a great stay. A 17th century ‘cider house’ steeped in history, The Crown Inn is quite simply, a perfect village inn. It boasts all the right ingredients: log fires, scrumptious home-cooked food, locally brewed real ales, a stunningly beautiful building and of course, good company. Add to this 12 en-suite bedrooms, ample car parking and stunning views across the valley and you have all you need for a relaxing stay. AA 4 Star Inn. Welcome to the Hunters Hall Hotel, a 16th century inn with a wealth of charm and character. The inn offers an extensive choice of traditional dishes in a relaxed and informal atmosphere, warmed by log fires in the winter. 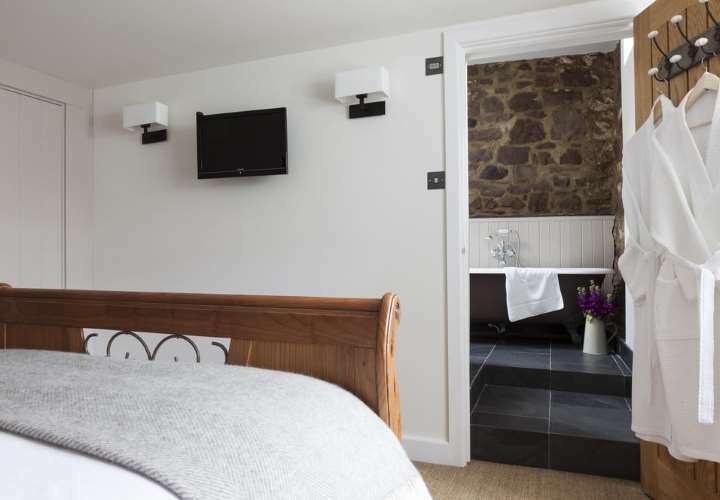 The 13 refurbished en-suite bedrooms are located in a separate building which was once the stables and blacksmiths shop. 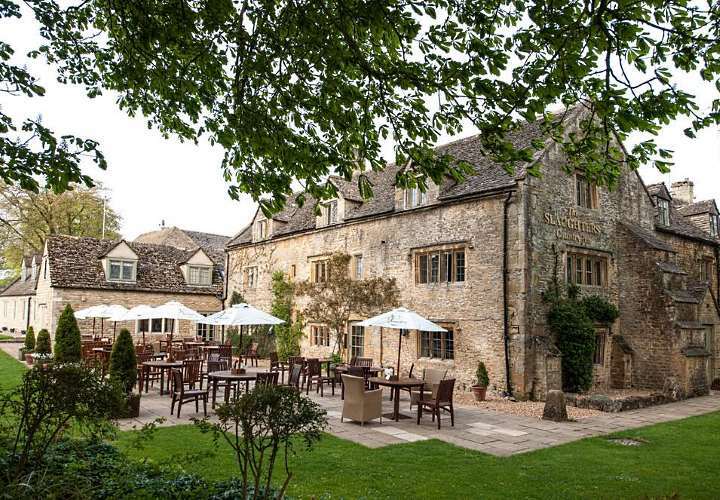 The Slaughters Inn, formerly Washbourne Court, is set on the banks of the beautiful River Eye in the village of Lower Slaughter. Enjoy blazing log fires in the winter months in the informal Scholars Bar, and dining al fresco on the riverside terrace in the summer. 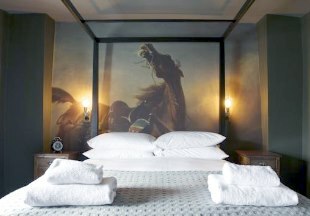 The hotel boasts 30 en-suite bedrooms, contemporary in style. Perfectly positioned just a mile from Bourton-on-the-Water. 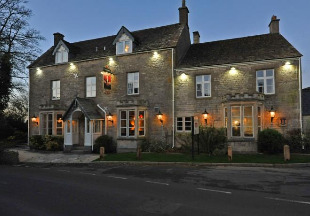 The following country pubs, hotels and inns in Gloucestershire have been handpicked by the team at English Country Inns. Think of Gloucestershire and most people think of Cotswolds villages, Regency Cheltenham and the cathedral city of Gloucester, but the county also includes the beautiful Forest of Dean. And as for the sport of kings, the Cheltenham Gold Cup attracts racegoers from all over the world. The M5 motorway almost bisects the county; to the right of the motorway you will find Cotswold villages and rolling countryside. To the left of the M5 lie the Wye Valley, Forest of Dean and the Welsh borders. And yes, the Gloucestershire Old Spot pig does indeed come from here; most of the pubs and inns in Gloucestershire are proud to feature pork from this famous breed on their menus! "The Forest of Dean is one of the few surviving ancient woodlands in England. A superb area for walkers and cyclists, the Forest of Dean boasts some great places to stay. The Fountain Inn is a cosy village inn with a great atmosphere, right at the heart of the forest. And your canine companion is welcome too, so you can both enjoy the wonderful walkies the Forest has to offer!" 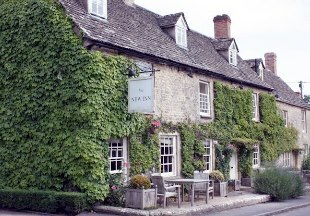 If you are looking for an inn in the Cotswolds, browse our selection of Cotswolds inns and pubs with rooms. Gloucestershire is bordered by Herefordshire, Worcestershire, Warwickshire, Oxfordshire, Wiltshire, Somerset and Wales. 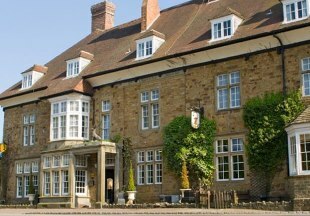 If you want to widen your search, why not browse through our selection of hotels and inns in Herefordshire, Warwickshire, Worcestershire, Oxfordshire, Wiltshire, hotels in Somerset and inns in Wales.